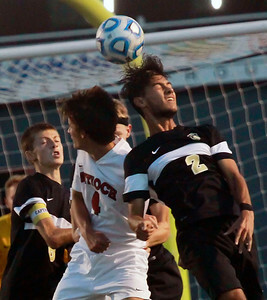 Candace H. Johnson-For Shaw Media Antioch's Zac Tholen goes up for a header against Grayslake North's Cristian Guerrero in the first half at Antioch Community High School. Candace H. Johnson-For Shaw Media Antioch's Bart Krumpos goes up for a header against Grayslake North's Carlos Alfaro in the first half at Antioch Community High School. 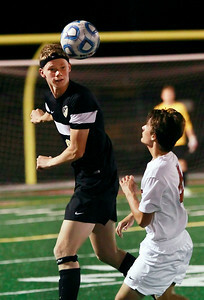 Candace H. Johnson-For Shaw Media Grayslake North's Joshua Moran goes up for a header against Antioch's Zach Espitia in the second half at Antioch Community High School. 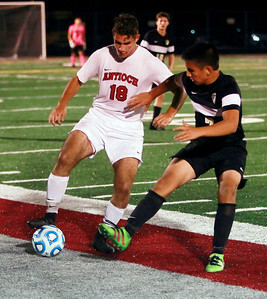 Candace H. Johnson-For Shaw Media Grayslake North's Jack Critzer watches Antioch's Zac Tholen head the ball in the second half at Antioch Community High School. Candace H. Johnson-For Shaw Media Antioch's RJ Vazquez keeps the ball away from Grayslake North's Josian Martinez in the second half at Antioch Community High School. 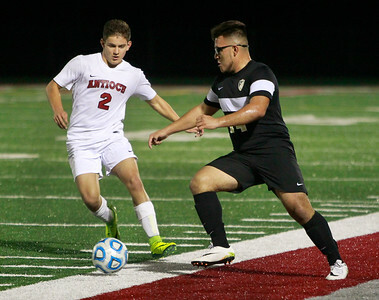 Candace H. Johnson-For Shaw Media Antioch's Gabe Tijerina battles for control against Grayslake North's Tyler Salvador in the first half at Antioch Community High School. 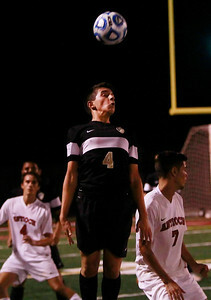 Antioch's Zac Tholen goes up for a header against Grayslake North's Cristian Guerrero in the first half at Antioch Community High School.